When considering plumbing services in Queens NY or the greater Manhattan area, it is important to consider your heating system maintenance. While it isn't strictly part of your plumbing system, it is often maintained by the same types of professionals. Understanding the timetable of heating system maintenance, as well as the types of procedures to consider is crucial for keeping your system operating. When Is It Time to Perform Maintenance? Strange smells – Burning dust smells coming from your heating system indicates a problem when your system has been in regular use. While you might notice this smell briefly after turning your furnace back on after summer, it shouldn't linger. The smell of natural gas is also a problem because there may be a break in your line. Strange thermostat readings – Flashing warning indicators on your thermostat indicate that you may have a problem with your heating system. For example, the system may have a break in the line that requires maintenance or repairs. In this case, it may be essential to consider heating and water heater repair in Brooklyn. Unpleasant sounds – If your system is generating rather loud banging, grinding, or popping sounds, there is a serious problem. Turn off your heater and call the best Bronx NY plumbing repair specialist near you to identify and fix the issue. Regular maintenance after these repairs can help avoid this becoming an acute concern. No heat – Obviously, if your system is set to warm up your home and it blows nothing but cold air, maintenance or repair procedures are necessary. Unfortunately, it is likely that repair is the necessary process here as maintenance didn't catch the problem in time. By detecting these symptoms of heating system failure, you can avoid costly repairs or replacement procedures. However, it is also important to understand when to perform these maintenance steps. A regular schedule can help you catch these problems before they become severe. How Often Should Maintenance Be Performed? Creating a high-quality heating system maintenance schedule is crucial for managing your plumbing system repairs in Queens NY. Different types of systems will have different plans that you need to follow. Right now, we'll discuss the basic timing and how to create an efficient maintenance schedule. Later, we'll examine the types of plumbing repair Bronx NYC maintenance procedures you need to perform to keep your system operational. A full-service maintenance procedure of your heater should be performed at least once a year. This process includes inspecting the heater for damage, repairing that damage, and performing various bits of upkeep on the system. 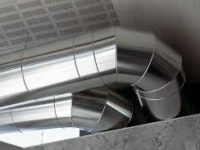 Other types of procedures, such as cleaning out vents and pipes, should be done on a more regular basis. Bi-yearly cleanings should be more than enough. Other procedures, such as changing your system air filter, will vary depending on the situation. For example, a heating system in an area with high pollution may need its filter changed every 3-4 months. If you haven't performed a maintenance procedure lately, it is a good idea to carry out all of them right away and to write down the next maintenance times on a calendar. What Procedures Should Be Considered? There are many types of maintenance procedures to consider when calling the best plumbing services Queens NYC must offer. For example, water heater repair in Brooklyn can ensure that you keep your system running well far into the future. These repair procedures typically include checking the pilot and cleaning out the tank. In this way, you can avoid the need for a full water heater installation process in Manhattan or anywhere else in NYC. However, it is also important for you to take care of your thermostat by performing regular maintenance procedures. Make sure that it has an uninterrupted supply of power, including checking its batteries if necessary. Beyond that, you also need to check the filters on your system every month and replace them at least every three months. Then, it is important to clean your duct work and register whenever they are too dirty. A good rule of thumb is to check these filters once a month and clean them if necessary. After this step, it is important to clean the dust and soot from underneath the furnace combustion chamber. This action helps to avoid fire and other dangers. Other processes, such as inspecting the blower belt, likely require a professional. Should I Always Call a Professional? In most cases, it is a good idea to call a professional to manage your heating system concerns. For example, a high-quality plumbing specialist will provide you with the maintenance your heating system needs to operate at top capacity. These symptoms indicate that something is more seriously wrong with your system. Maintenance procedures by professionals should be able to help manage these more severe issues. However, plumbing repairs may be necessary if the system has already been severely affected by a lack of maintenance. The sooner you call a professional and create a regular maintenance schedule, the better. If you have water heater maintenance or plumbing issues in Manhattan, it is a good idea to call a professional heating and plumbing company right away. They can identify the concerns that are plaguing your home's heater and take the steps necessary to ensure that it runs smoothly. They can also install new heating unit items that require less maintenance and which run more efficiently. C James Plumbing has been around for over 20 years supporting both consumers and businesses in the local NYC area. Contact us today for any of your heating and plumbing needs. We are available 24 x 7.